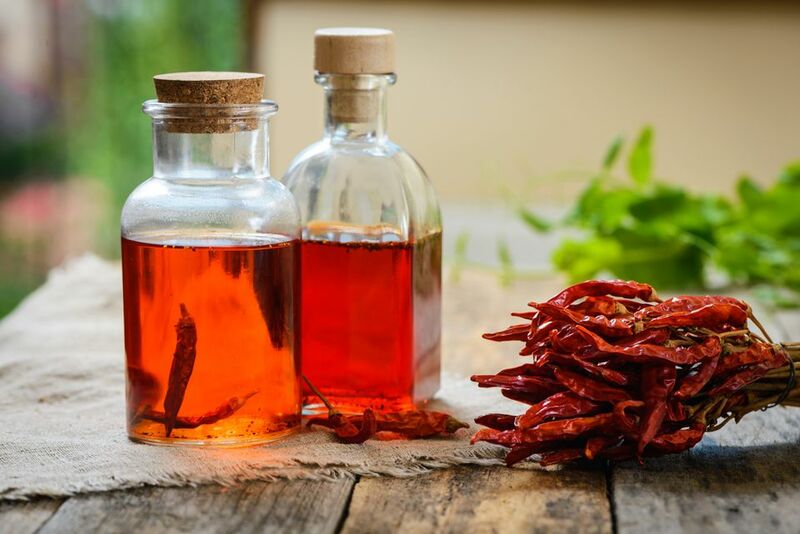 Love the chili oil at your favorite Asian restaurant? You only need two ingredients to replicate the spicy condiment at home. Set out a clean, dry glass bowl or jar and add the chili pepper. In a small saucepan, heat the oil over medium heat for a few minutes, just until it begins to smoke. Remove the pan from the heat and allow the oil to cool in the pan for a minute or two. Pour the oil slowly and carefully over the chili pepper, making sure that the oil completely covers the chili pepper. If necessary, use a spoon to stir so that all the chili is submerged. Set the oil aside to cool for at least an hour or two. Once cooled, you can taste the oil. If it's to your liking, strain the oil to remove the crushed or ground chili pepper. If you'd like more heat and flavor, cover the oil and allow it to infuse overnight or for as long as desired before straining. Once strained, store the oil in a clean, airtight glass container. If you used whole dried chili peppers, they can be returned to the oil to gradually intensify its color and flavor.